Northern Diver's reputation as one of the world's elite drysuit manufacturers and diving equipment manufacturers has its roots in their genuine love of diving. 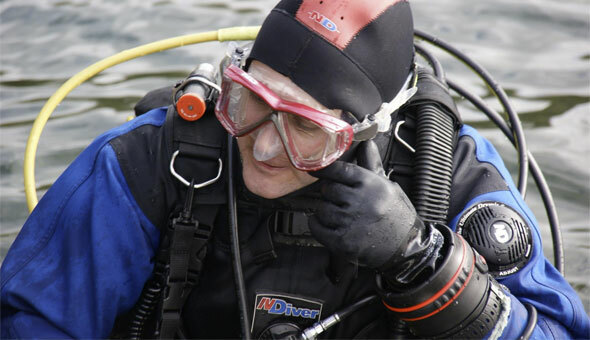 UK-based Northern Diver is increasingly the choice of top diving personalities and commercial divers. The renowned life saving properties of Northern Diver suits have been responsible for saving many divers exposed to extreme conditions. For example, experienced BBC underwater cameramen have used Northern Diver protection in Antarctica to isolate themselves from water nearing -2°C. A related business to The Scuba Doctor dive shop is the Australian distributor for Northern Diver products. We know, use and highly recommend Northern Diver products.